NGO «Metropolitan Federation of Golf Development» is a public organization, the basic task of which is to popularize and improve golf and mini-golf. The Golf Club operates on the Club structure and encourages individual members to play golf and exercise in the training grounds. We have gratuitous courses for anyone who wants to get acquainted with the game of golf. NGO «Metropolitan Federation of Golf Development» is an open club. All the interested people have a right to useits resources, but only the Club members and their guests can get privileges provided by the Club and its partners. We hope that our services will bring considerable satisfaction to you and your guests. Our task is to develop and coordinate the work in the sphere of Kazakh amateur and professional golf, contribute to a faster development of this kind of sport to a new higher level of quality and quantity. We wish to make golf in Kazakhstan more attractive for investments, involve Ukrainian golf in the world association. The following pages are addressed to all those who wish to learn more about golf, from the beginner, who wants to understand this game and learn how to play it, to the avid sportsman seeking to explore various aspects of golf and feel all of its richness and diversity. 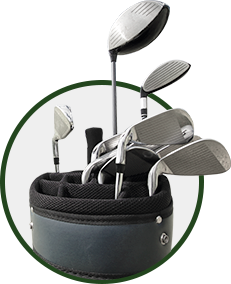 Golf is a sport which is practiced and observed by millions of people worldwide. Golf is an occupation, which is very colorful, useful for health and helping to find new friends. Dear members and guests of the club – the schedule is subject to change. Date of the event: August 8, 2015 On the eve of the professional builders’ holiday, «Astana» golf club will hold the first golf tournament dedicated to the Builders’ day. The event participants are representatives of the Kazakh construction companies and their business partners, as well as representatives of foreign companies. Date of the event: 27 June 2015 The team tournament for the Cup of the President of Kazakhstan is traditionally held in Julyand actively participatedby the representatives of political and business elite, as well as representatives of foreign companies in Kazakhstan. Date of the event: 1 June 2015 Participating cities: Astana, Almaty, Kostanay. The tournament is timed to the International Children's Day. The staff of "Astana" golf club understands its responsibility for shaping the future generation of the RK citizensdeciding to hold an annual children's tournament, which will be the first competitive step in the career of future golfers.